A coworker invited me to lunch the other day and suggested we go to the Armani Cafe in Union Square. Little did I know, it was a cafe inside an Armani store. To be honest, it was a little strange sitting at a bar in the middle of a clothing store, but I was surprised by the quality of the food. I ordered the Insalata di Fichi, mixed greens with caramelized figs, toasted walnuts, bleu cheese topped with a dark balsamic vinaigrette. The ingredients were very fresh and I was impressed that they used local ingredients in their dishes. 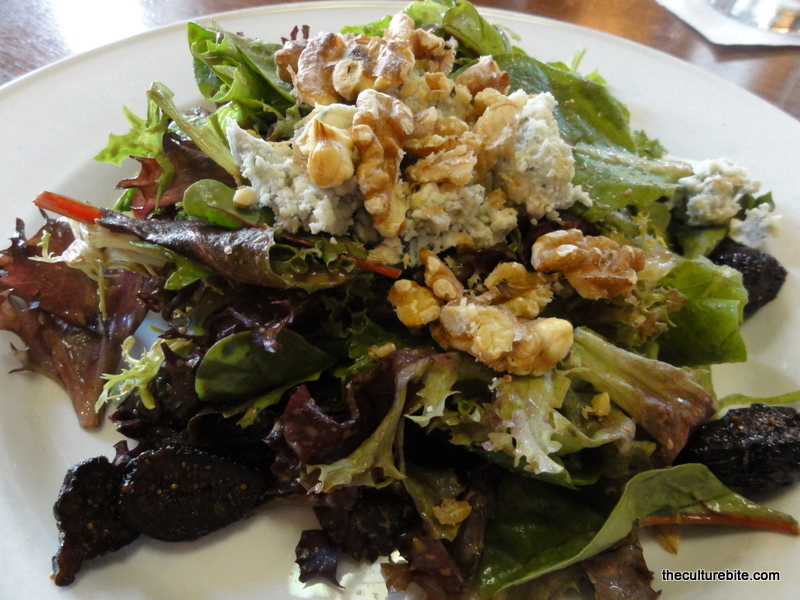 The leaves were well-dressed, the figs were sweet and chewy, and they had a mountain of bleu cheese – all things I love. I didn’t care too much for the walnuts though. They tasted a little raw and could’ve used a little more time toasting. I also had a virgin mojito, but I’ve never really been a fan of mojitos, so I won’t comment on this one.